Express your adoration today by sending a charming teddy bear and balloons. A soft plush teddy bear and three mylar "I Love You" themed balloons says a whole lot! 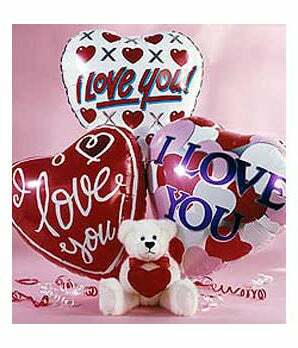 The I Love You Teddy Bear & Balloons bundle makes an ideal bear and balloons present for anniversaries, birthdays and more. The individual you adore will be thrilled to receive this gift today.